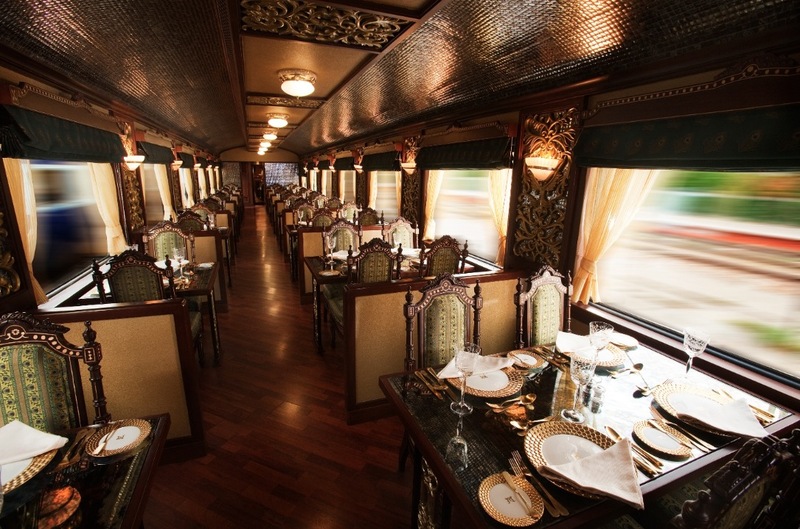 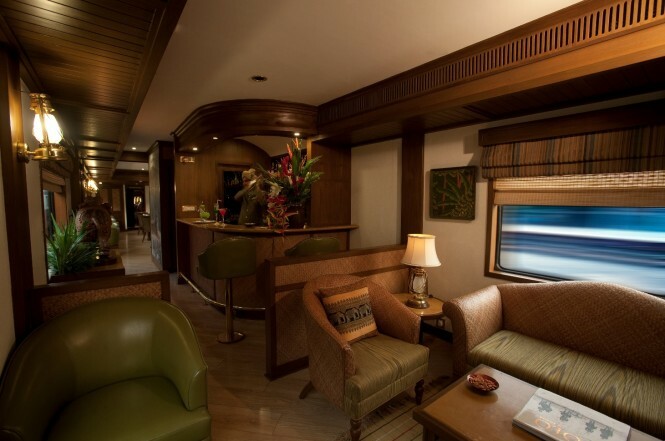 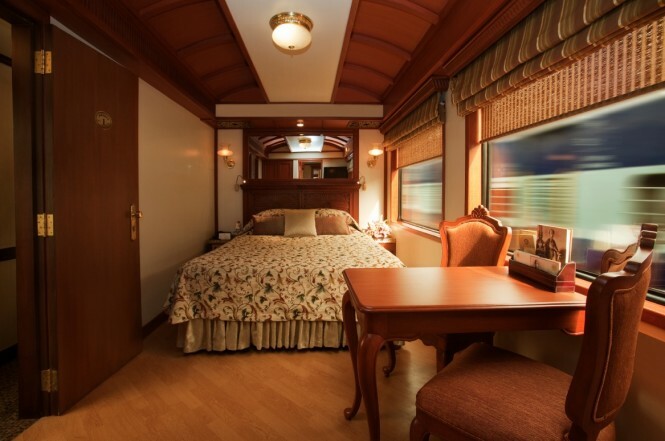 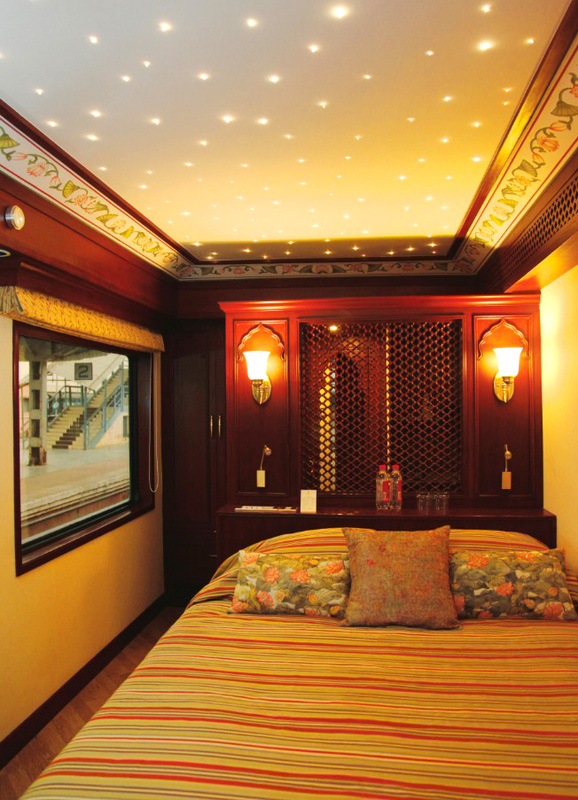 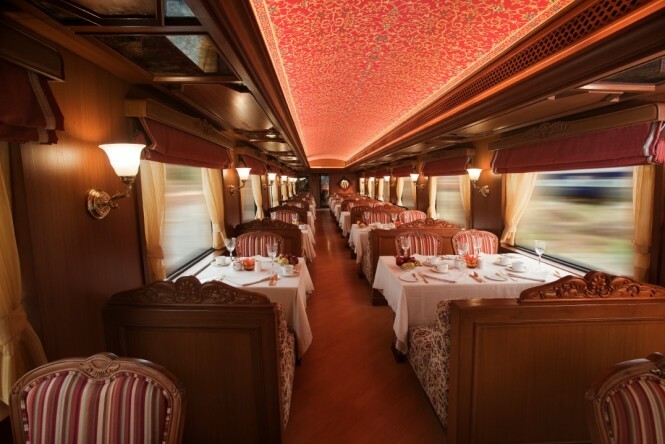 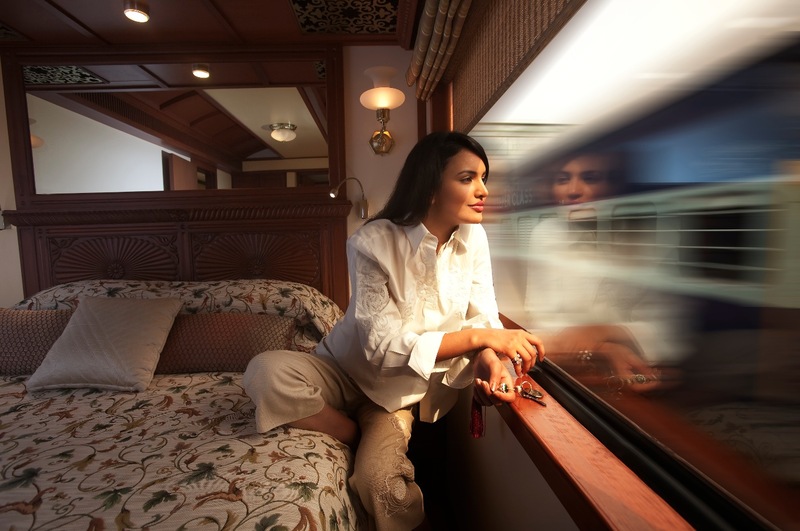 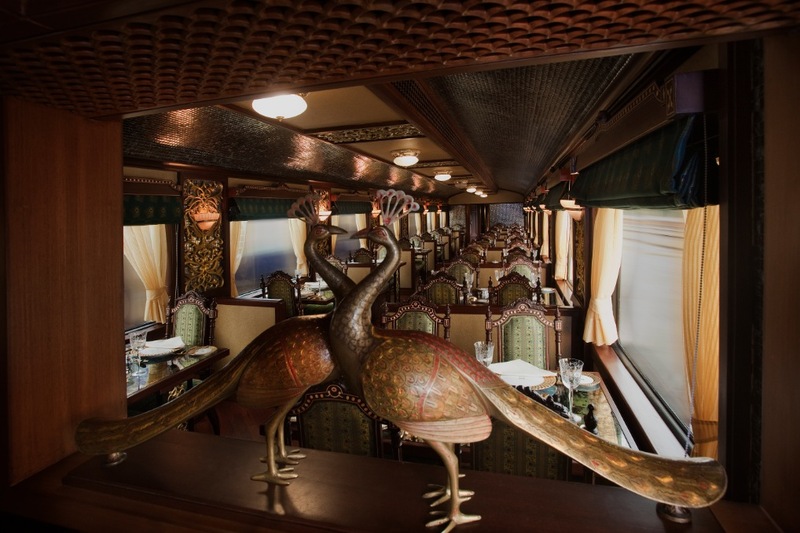 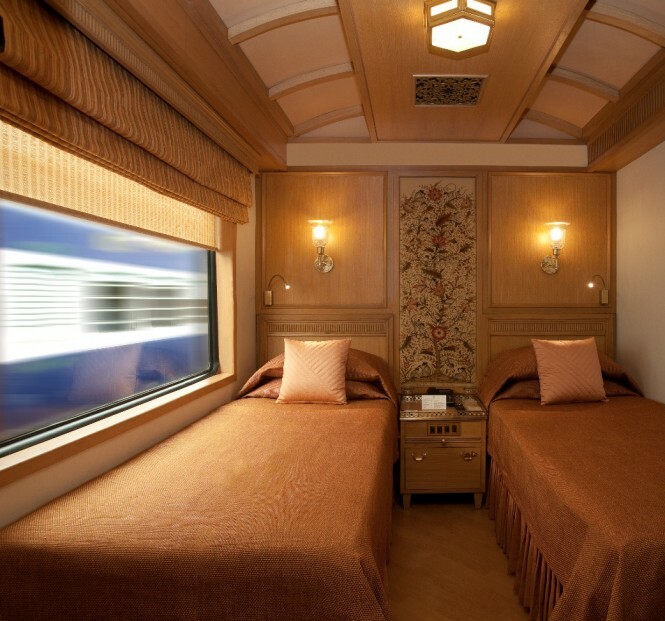 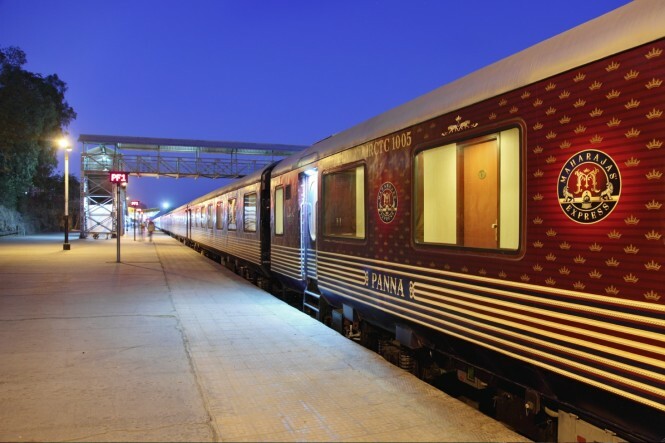 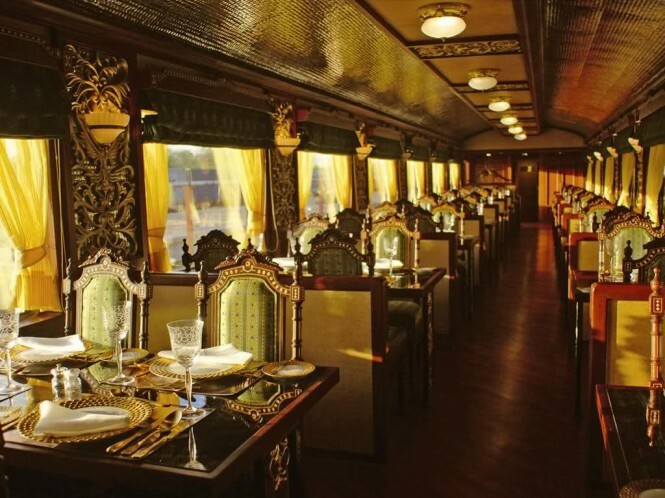 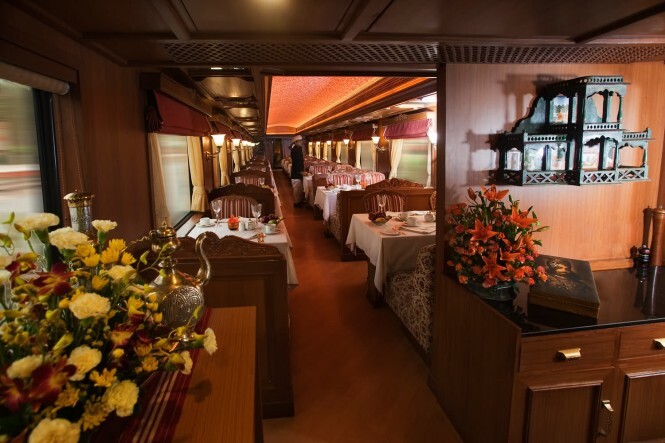 Featuring 14 carriages, two fine dining rooms, a bar and lounge, ornate and sumptuous interiors, as well as a vibrant exterior design, the Maharajas' Express luxury train must be the fanciest and most exciting way to see quite a bit of India. The tour packages map out "journeys" for train guests, so you won't have to do much planning. 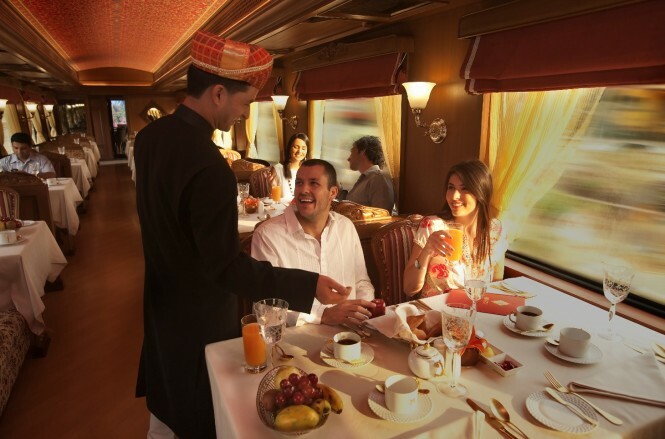 The 7-night "Royal Sojourn" package offers tours starting from Delhi and continuing on to Jaipur, Kota, Ranthambore, Agra, and back. 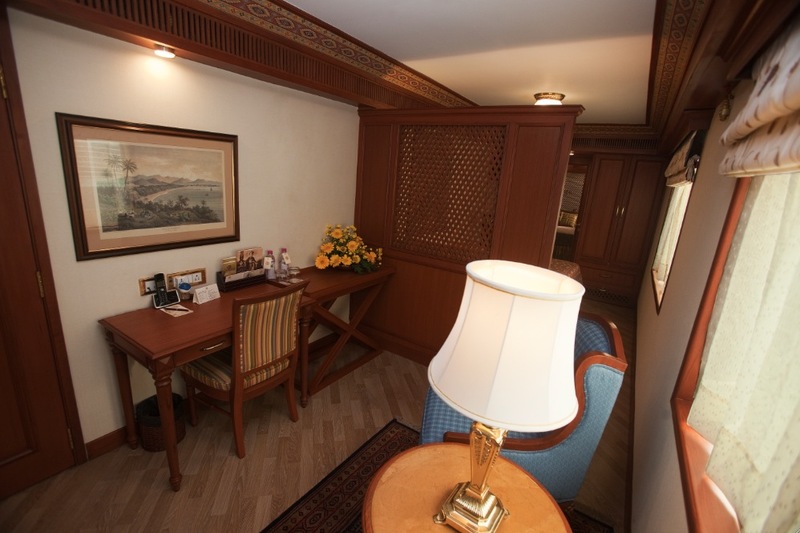 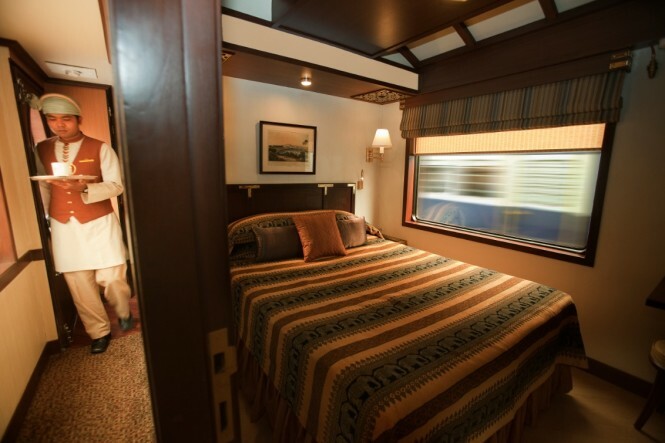 Besides conveniently seeing many parts of this vast and majestic country, simply being a passenger within the Maharaj Express is a magical experience in itself. The Maharaja is unarguably reminiscent of a different era - with decadent upholstery, dark cherry-wood furniture, exotic plants and gilded turban sporting staff. 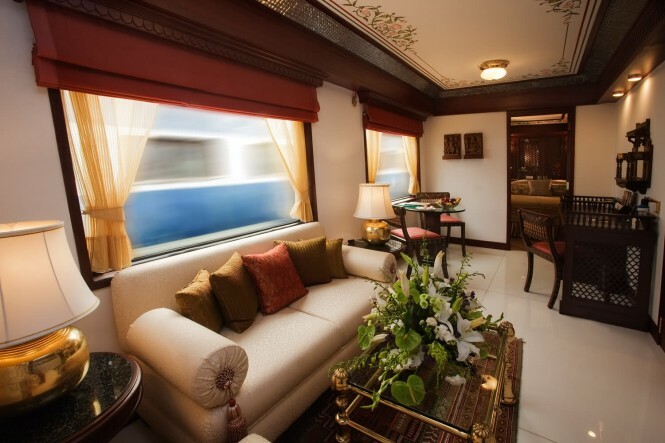 If traveling by train was the only form of transportation as it was once long ago, something tells us we would not complain if all the trains were like the Maharajas' Express. 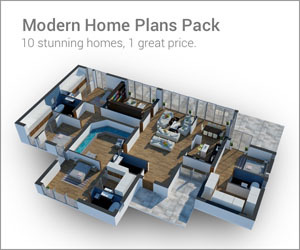 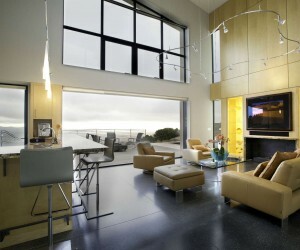 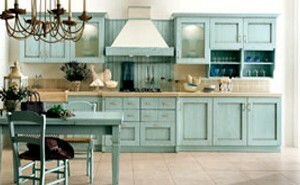 Prices range from Rs.2.7 lakh ($6000) to Rs.9 lakh ($20,000) for the whole journey.